Bill of Materials - In MS Excel or delimited format. Please highlight in red any components we will not be placing, or any parts that are not included in the kit. BOM should include: Part number, Reference Designator, Description, and footprint (package). Gerbers - Please send us all gerber files generated by your CAD program, as if you were sending them for fabrication. At a minimum we need silk screen, copper and solder paste layers for assembly. Centrorid Data (aka Insertion or Pick-and-place or XY data) - This is the machine files, which should include: X, Y, Theta, Side of Board (Top or Bottom), and Reference Designator. If you cannot generate this file, Precision Tech can generate it for you from the geber files. 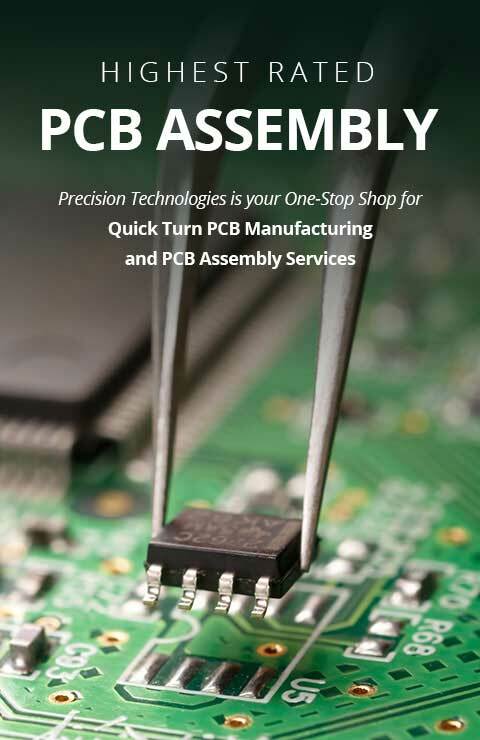 Assembly Drawings - Are helpful to ensure all special PCB Assembly instructions are carried out properly. Polarity marking - Silk Screen must indicate polarity and 1st-pin markings.